Helpful Advice When Trying To Catch Those Black Friday Sales! First remember that if you don’t know where to go for the best Black Friday deals? You can most certainly use PCHSearch&Win – PCH Search and Win Website. You will find the perfect search tool to find stores near you that have great deals today! Here’s some helpful advice for your BlackFriday Shopping. Every year like clockwork the countdown begins to Black Friday where retailers supposedly offer some of the best sales. For those of you that don’t know Black Friday is what they call the day after Thanksgiving. Nowadays however black Friday should also be called black Thursday because some retailers are actually open on Thanksgiving! Black Friday has become so popular that you can in some respects call it a national holiday, since most of us are off anyway, hunting for bargains has now become an American tradition on the day after Thanksgiving. But most people now are starting to get tired of this promotion because we see how it leads to chaos in the stores, with people fighting over television sets and knocking down senior citizens to grab what’s left of any promotional item that is still on the shelves. For the most part you can avoid all the hassle of going to the store, instead you can do your shopping online where you are probably more likely to find even better sales. The reason being is that there are simply more stores to shop at! Plus you don’t have to stand in line and be herded in like cattle when the stores finally open up and let everyone in. That is dangerous, but for some reason people enjoy the challenge of racing inside stores to grab what can be considered a good deal to some. Before rushing off to buy the Black Friday sales deals, make sure you are actually getting a good deal. When you look close enough a lot of the items they mark down drastically really aren’t that good and end up being a waste of money. That’s not to say you can’t find a great deal, but in order to do so, you may have to knock someone over to get it. Do yourself a favor, stay at home and shop online where you don’t have to worry about getting hurt while most likely finding the best deals. 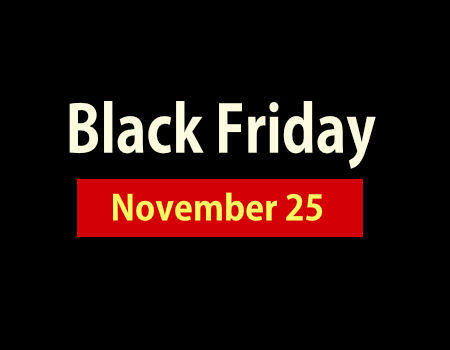 Are you looking forward to Black Friday? The key to getting the most out of your shopping trip is to get organized and plan your purchases in advance. Stores are always a hectic on Black Friday and you will not have time to browse for good deals. Best Buy usually offers deals on electronics, including TVs, laptops, cameras, DVD players and video game systems. This is perfect if you need to buy any of these electronics, for instance for a Christmas gift. You can find out more about the electronics on sale by checking the ad released by Best Buy ahead of Black Friday. Look at the specs of the different products on sale and decide which one would be best for you. Best Buy also offers great deals on appliances on Black Friday. Purchasing large appliances requires some planning since you will need to either transport the appliance you bought or have it delivered to your home. This could be a great occasion to upgrade your fridge, oven, microwave or dishwasher. You will also find great deals on smaller appliances such as coffee makers, toasters or blenders. Best Buy is well-known for its doorbuster deals. These deals are usually very interesting because you can get a brand new laptop, TV or another product at an incredible price. These deals are widely advertised, which means a huge number of shoppers will go to Best Buy just for a doorbuster deal. If you are interested in one of these deals, you need to plan your shopping trip to be at Best Buy when Black Friday starts and go straight for this item. You can save a lot on Black Friday and have a great shopping experience as long as you plan things in advance. Visit your local Best Buy to figure out where everything is located! « MarthaStewart.com/BlackFridaySweeps – Martha Stewart Black Friday Sweepstakes! It’s a Black Friday giveaway, so it’s now Dec. WIN $10,000.00 AWEEK FOR LIFE ! ATHURIZED ADVISORY ALERT TODAY’S EMAIL , IS THIS REAL WIN PCH &SWEEPSTAKE !FOR BLACK FRIDAY? IF I AM ALLOWED TO BEIN– YES ! PLEASE I WANT TO REAL WIN PCH GWYNO 6900 $10,000.00 A WEEK FOR LIFE ON DEC.23rd 2016 .GOD BLESS .THANK YOU. I NEED TO KNOW HOW TO ACTIVATE MY ALERT FOR 10,000.00 A WEEK FOR LIE PRIZE GWY. NUMBER 6900. I WANT TO WIN THE 10,000.00 A WEEK FOR LIFE PRIZE GWY. NUMBER 6900.